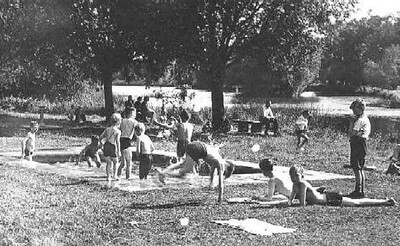 - Swimming Area - (BS0002) Date? Old coal wharf is still there. When did the offices close? 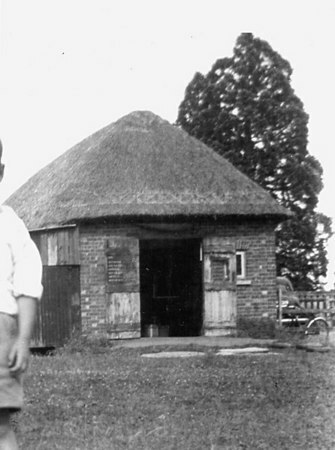 Jack Wheeler’s uncle - Mr Cripps was the Coalman until it was sold to Weedons of Wallingford. 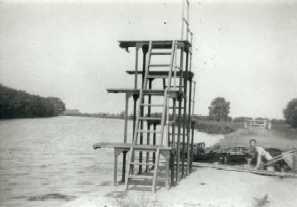 - Diving Platform - (BS0022) Anyone know the lad on the right? When were the diving boards put up? They were up in the war. Late 30’s suggested. - Beasley's Cottage - (BS0138) See also BS0210. 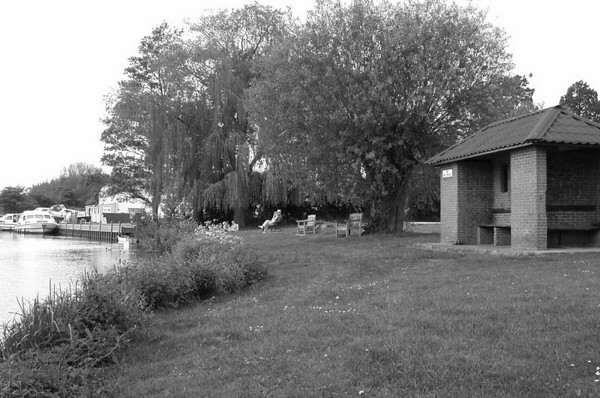 Later purchased by Frank Young and used as a boat shed. 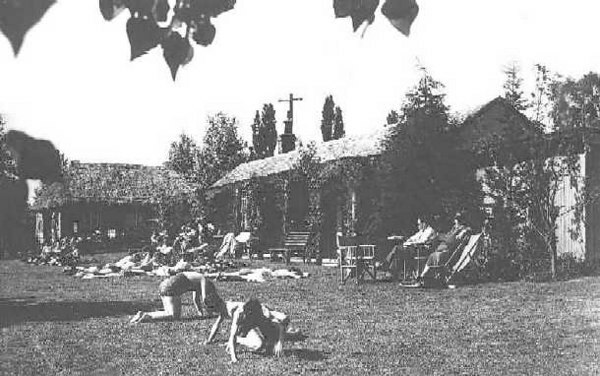 Eventually demolished in 1962. - Swimming Area - (BS0177) Beyond the diving boards was the old "Camp siding", where formerly coal barges off loaded. 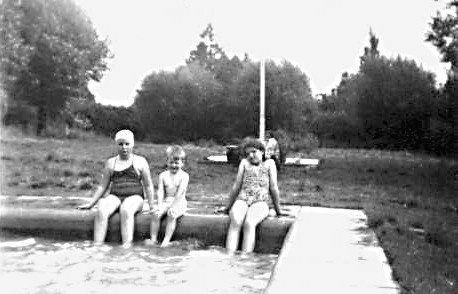 - Paddling Pool - (BS0178) Can anyone help with a date and names please? 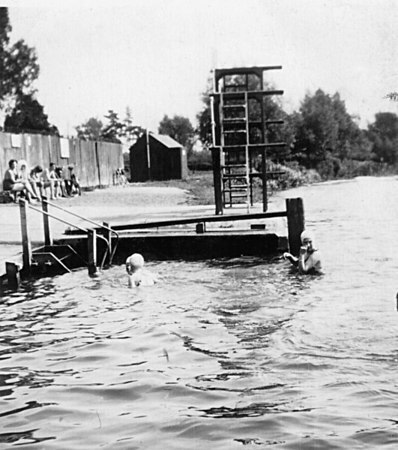 - Bathers on Thames - (BS0258) Benson Wharf - late 20's. See also BS0177 above. The wall fenced off the old Coal Wharf offices until turned into a pleasure area illustrated at BS0002 above. 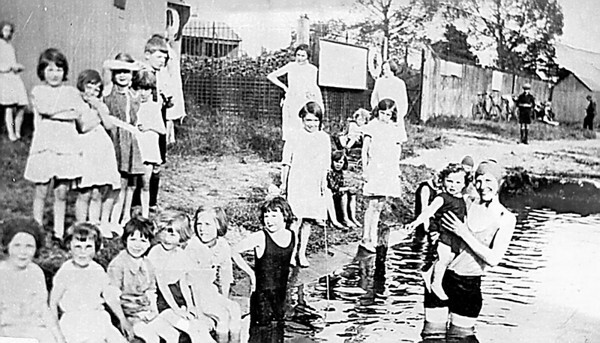 - Swimming Lesson - 1924 - (BS0278) From l. to r.: Mrs. Cumberlidge, Dawn (her daughter), Alma Thompson, Rene Bailey and Lizzie Bailey, Alice Beale nee Lane, Tiger (daughter of Mrs. Cumberlidge), Lizzie Parks nee Lane (DL's aunt). Mr. Haynes is behind Dawn. He worked in the coal yard. 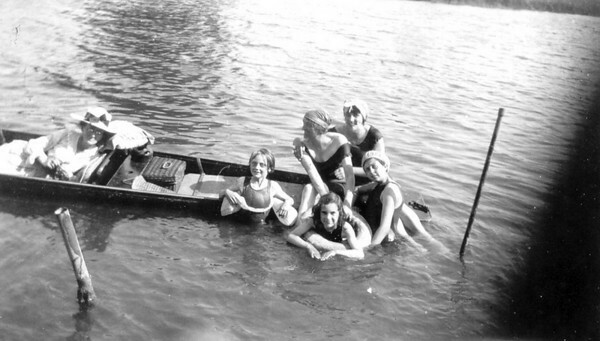 Mrs Cumberlidge was a Londoner who spent a few weeks each summer in Benson with her daughters and took it on herself to teach some of the local girls to swim. 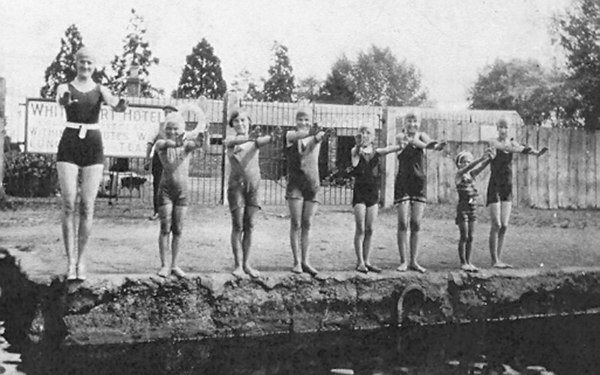 The girls are standing on what was known as the Camp Siding, which was 25 yards long, and the qualification to be able to swim when that length was completed. 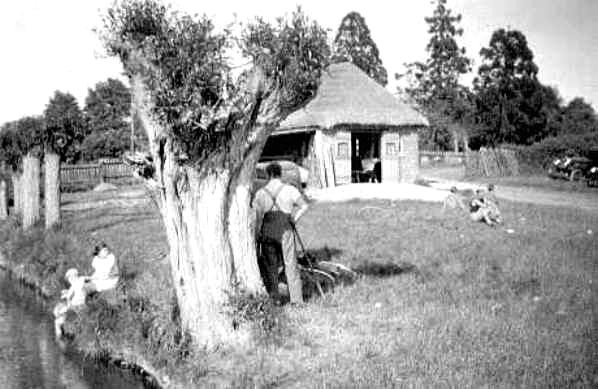 - Thatched Boatshed - (BS0210) Formerly Mr Haines's "Summer House, later owned by Mr Young and used as boat store. Located adjacent to old coal wharf. 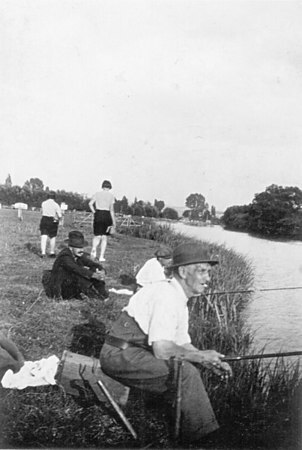 - The Punt c1920 - (BS0290) Peter Clarke's grandmother is left of the picnic hamper, and his mother to the right. 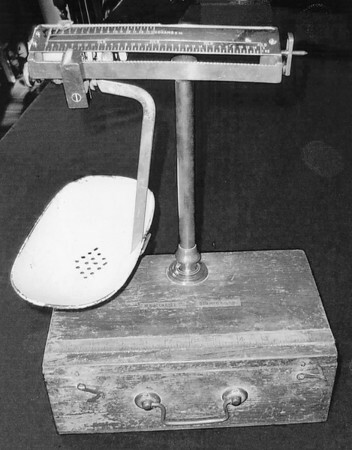 - Scales and brass ruler - (BS0716) This fine old set of scales and ruler, manufactured in the 1920's, was used in angling competitions and is still held by Benson Angling Club. 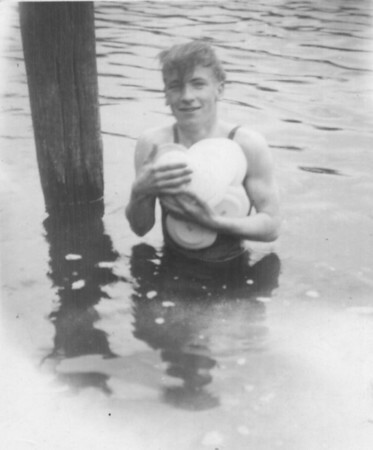 - A bathing party on the bank of the Thames - (BS0357) Date and participants unknown? 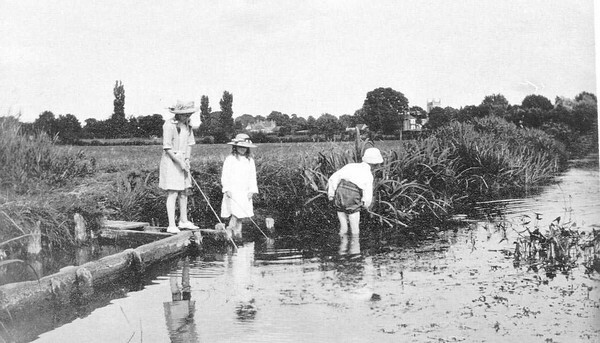 - Children swimming in Thames - (BS0348) Could it be a swimming lesson? - Rivermead today (2005) - (BS0966) Well manicured grass and willow spiling protecting the bank from erosion. 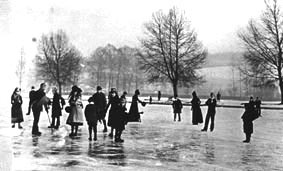 - Ice Skating in front of the old Wharf - (BS0224) Date unclear, but the Thames was known to freeze over in both 1926 and again in 1930. 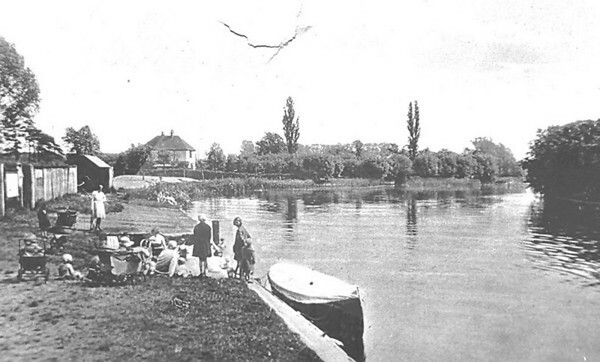 - Thames at Benson 24th Feb 1929 - (BS1184) The photo is fascinating on a number of historical grounds. First, writing in 2008, the matter of climate change. 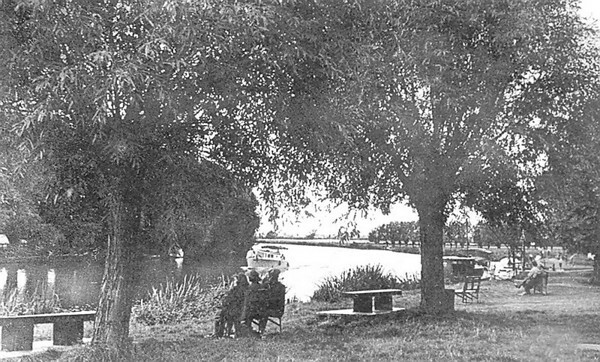 In Victorian times there are a number of instances when “an ox was roasted on the Thames at Wallingford” (and probably elsewhere) in the very cold winters a century and more ago. Although similar conditions might have ocurred in the winter of 1962/3 it seems to happen less and less frequently and the possibility of it happening again in the 21st century must be surely remote indeed! 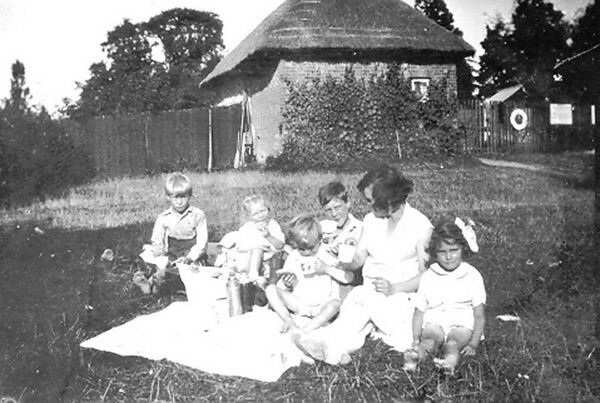 See also page 34 of “Benson, A Century of Change” Secondly the position of the photographer. Here readers should refer to pages 35 to 37 of the same book. 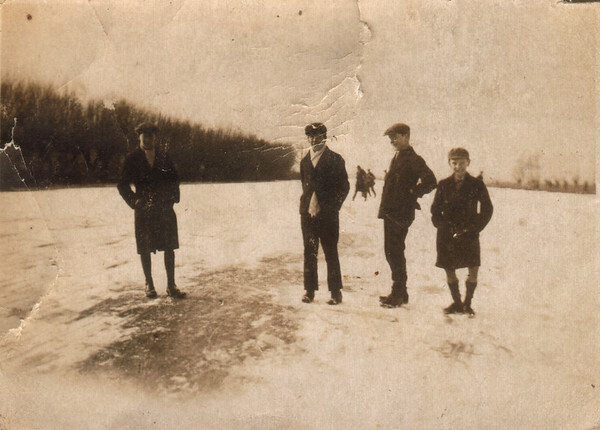 He has either located himself on the ice, or immediately on the bank in front of what in 2008 is the Waterfront Café, but then was the stretch of concrete known as the “Camp siding”, the area along which the coal barges would tie up to unload at the wharf. Finally, the line of young willows on the far bank. A few remain today, but the real give-away for the entire photo is the extraordinary large tree on the extreme right. 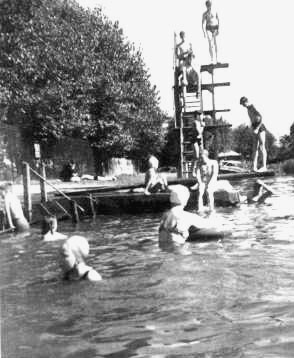 Known to all mid-XXth century swimmers as “the quarter-mile” tree, it was the ambition of all new swimmers. To swim to that tree, and then back was the great target. That was the defining separation of “the men from the boys”! 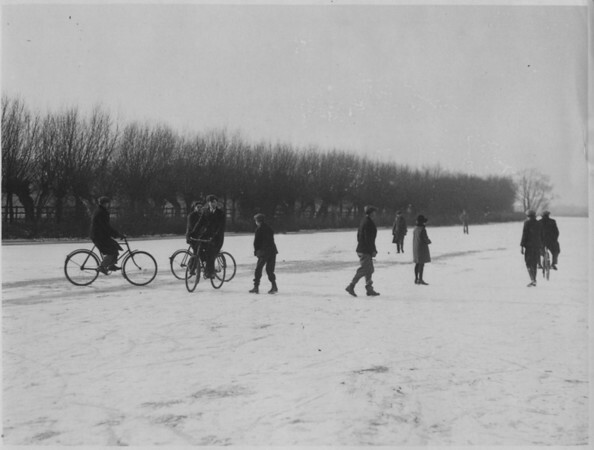 - Frozen Thames - Sun Feb 7th 1929 - (BS1017) See BS1184. 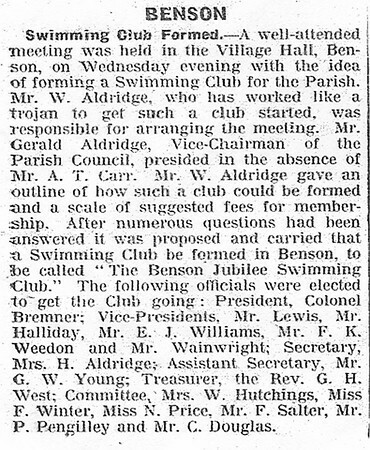 - Benson Swimming Club founded - (BS0516) Thought to be about 1938/39 Many well known Benson names.